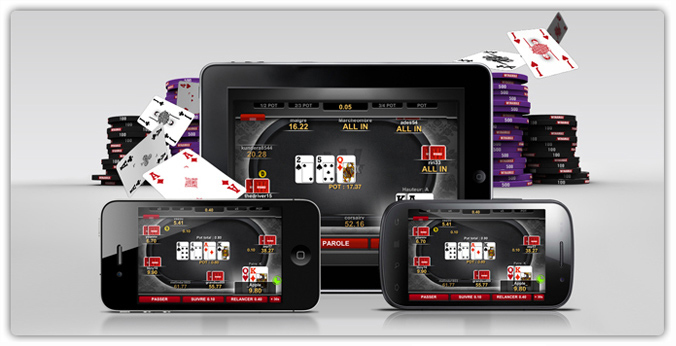 Winamax, real poker on your mobile device! Thousands of players are at your fingertips, any time or anyplace via your mobile device! Simply install the application, login to your Winamax account (or create one if you haven’t already) and you will have immediate access to all the cash game tables and tournaments on Winamax Poker. With Winamax you can begin a poker tournament on your Android smart phone, grind through the bubble on your PC, and play the final table from your bed on your tablet. Winamax is now available on the App Store for iPhone devices! Our iPhone application includes all the features from the PC and Mac versions. Play up to 4 tables simultaneously using its simple, user friendly interface. Take advantage of our hot swap function which allows you to move from one device to another without interrupting your game. Our application is optimised to limit data usage so that you will not bust your mobile bill. The Winamax Poker iPad application is really cool. Even at home, you will prefer sitting on your sofa, playing on your iPad to playing on your desktop computer. It is possible to play on up to 4 tables simultaneously in a mosaic layout on just one screen! The application offers all of the same great features as our PC and Mac versions and is definitely the best poker experience available on a tablet! It’s been a long time coming, but it’s finally here: the Winamax application for Windows Phone is the first in the world to offer real money poker. The majority of smartphones run on Android, and for this reason, Winamax offers a poker application which caters to the extremely diverse range of Android devices. Find your poker tables just like at home, no matter where you are!